Itraconazole is widely used as an adjunctive treatment to help manage allergic forms of aspergillosis (eg. Allergic Bronchopulmonary Aspergillosis), as it can minimise the dose of oral steroids required to control respiratory symptoms. This is important as it reduces many of the unpleasant side effects that patients experience while taking oral steroids over the long term. Unfortunately, itraconazole is also prone to unpleasant and potentially serious side effects as well as strong interactions with other medications, so its dose must be carefully monitored. As with all oral antifungal medication, there needs to be a certain level of itraconazole in the body in order for it to be effective, and to try and avoid the fungus developing resistance to the drug. Keeping the level of itraconazole in the body at this fine balance where it is maximally effective, whilst minimising side effects, is made more difficult due to the differing ways in which peoples’ bodies process the drug. Therefore, individual monitoring of the patient is usually required. The availability of an inhaled version of itraconazole could potentially provide lower levels of the drug throughout the body, and therefore a lower propensity to cause side effects and adverse drug interactions. Inhalation of the drug also means that it would be delivered directly to the lungs, where the disease is manifest – hopefully increasing fungal exposure to itraconazole. 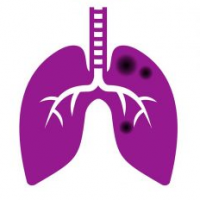 Pulmazole is a dry powder formulation of itraconazole intended to be inhaled and has just successfully completed phase 1/1B trials in Manchester, UK. The drug appeared to be safe and well tolerated in normal healthy volunteers at doses up to 35 mg administered for 14 days, and in asthmatics administered as a single dose of 20 mg. The most common adverse event reported was mild cough during dosing, which resolved spontaneously in seconds to minutes. No subject experienced an adverse effect leading to withdrawal from the trial. Total blood plasma drug exposure was ~66-fold lower, and the peak sputum concentration was ~70-fold higher compared to 200mg of oral Sporanox; this supports the hypothesis that an inhaled version of the drug could reduce systemic itraconazole levels, while increasing lung exposure to the drug. Given that side effects from systemic exposure are the main reason for discontinuing use of oral itraconazole, this is a very useful property of this prospective treatment for aspergillosis. These results have satisfied the objectives of the phase I trial, and Pulmatrix plans to initiate a Phase 2 trial with ABPA patients very soon. This is only a Phase I study, so there are 2 further levels of trial to successfully complete before Pulmazole is available to be prescribed as an treatment. This could take several years, but for now the results are very encouraging!